The Strela-2 satellites were prototypes of the second component of the Strela store-dump communication system. 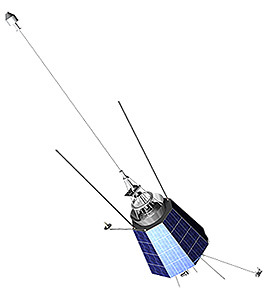 It consisted of larger single satellites. Five prototype Strela-2 satellites were launched on Kosmos-1 and Kosmos-3 boosters from Baikonur with two of them failing to reach orbit. They were put into low circular orbits at 800 km orbital height. After the initial tests, Strela-2 was replaced with the operational Strela-2M (11F610) version.